Some may be wondering what I am up to this summer. Am I just beaching it back home in Cornwall, enjoying the sun, or travelling? None of the above unfortunately – instead I’m doing an Internship at Morgan Stanley, again working on a large-scale backend engineering project (but this time in Java). This does mean I’m in London all summer (10 weeks) – something I never thought I’d do! But like last summer, I’m taking every opportunity that comes my way (whether it’s trying bouldering, kayaking through London, exploring ridiculously busy markets and trying cultures that I didn’t even know existed), and it’s certainly been an enlightening experience so far. For one thing, I now appreciate Zürich so much more than before – the city and citizens are so much more happy and cheerful, happy to help and smiley, and they have more respect for their city – London is full of not necessarily selfish people, but people who never seem to think of people other than those they know – people who, for example, see it as their right to have a door held open for them. Ok – England bashing over (Switzerland – please give me citizenship!). What have I been up to, and what’s been significant so far? 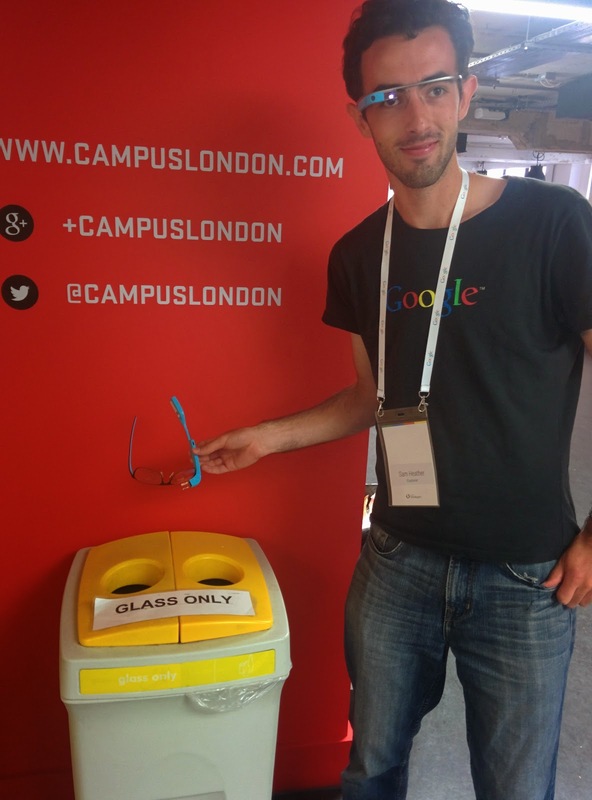 Obviously Google Glass has been a big piece of my life for the last 9 months, and since I arrived in London before it became publicly available here, I was keen to find out what people’s reaction to it was. With that in mind, I went to the Tate modern (a famous modern art gallery in London) to enjoy the art and get peoples perspective on it (without actually asking them). Loads of people recognised it, and I ended up doing a lot of demos, as I had expected. Glass really came into it’s own at Wimbledon (where a Glass demo helped me get a great ticket for court Number 1 on the penultimate day) – I got some great footage and was kept aware of an ongoing server outage without having to use my phone – so much more natural! I will add that the Wimbledon staff were not happy with me wearing it in Centre Court, where the dress code is more smart – but that’s fine – it is bright blue after-all. Another awesome use I’ve had for Glass in the couple of weeks is with advertising/fundraising. Last week I took part in an event at Morgan Stanley where we fundraised for The Princes Trust, who give disadvantaged or vulnerable young people the practical and financial support to stabilise their lives, undertake training and develop self-esteem, so that they have the skills for work. We cycled around London for the day, doing the ‘Tour de Londres’, whilst seeking donations from the public. Whilst out and about, it was important that we kept a steady stream of contributions coming in, and Glass certainly helped out with publishing media and updates of our progress. For example, when we were cycling along by the Thames, I was able to post videos and photos of our journey so far to encourage donations (I had earlier posted with how-to-donate information and had said I would be posting media throughout the day). 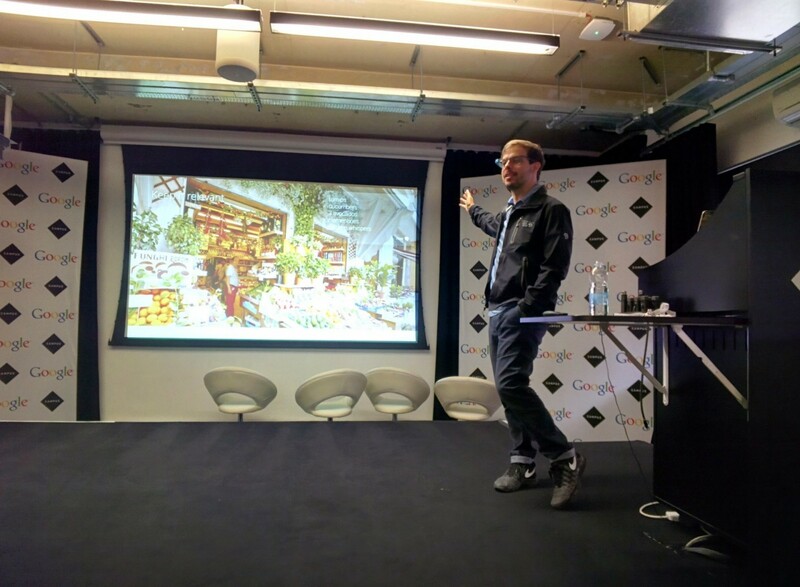 When Glass was announced as being available in the UK for developers, I was interested in what the reaction would be – would there be a sudden influx of Glass into the hands of the public, like there now is in the US, or would it be more subdued? I was expecting it to be the former, but I have to say I was wrong – apart from at this Hackathon, I have yet to see another Londoner with Glass, after 5 weeks here! I think I know why though – since the public launch, the vast amount of media coverage in the UK about Glass has diminished to, well, nothing. I haven’t read anything in the media about Glass since then, and people who see me with it and ask for demos (who have obviously read about it) don’t know they can buy it now. Perhaps after two years the media got bored of writing about this product that would one day make it to general availability? 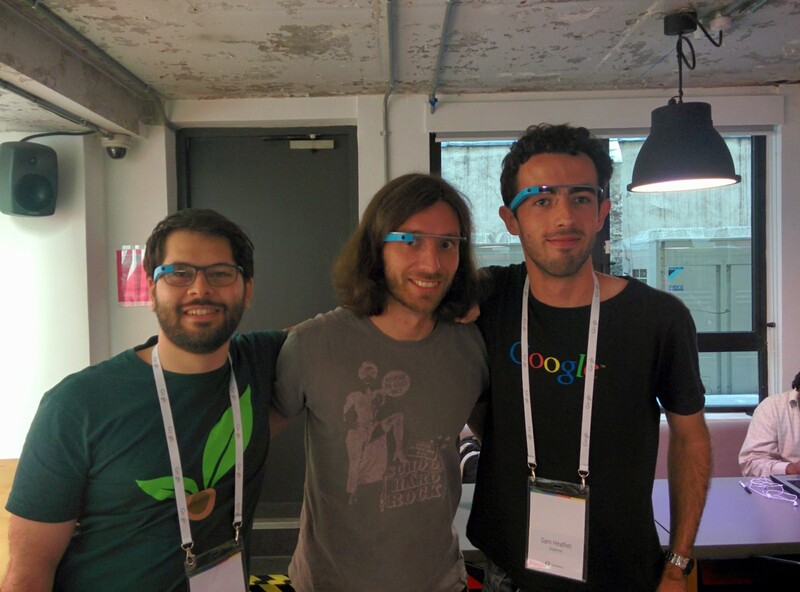 Whatever it is, I think Glass needs some advertising in the UK right now. 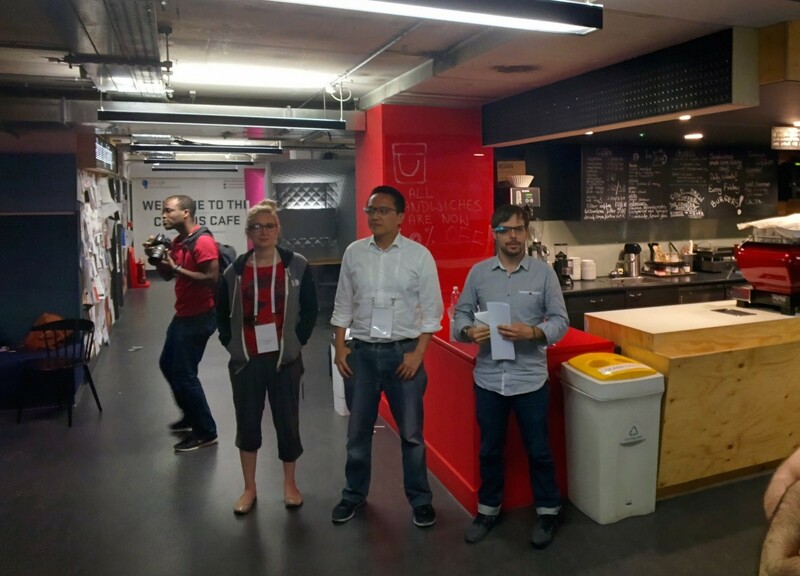 This entry was posted in Google Glass, York University CS Student Blogs and tagged 2014, glass, google, internship, london, morgan stanley, summer on July 20, 2014 by Sam.